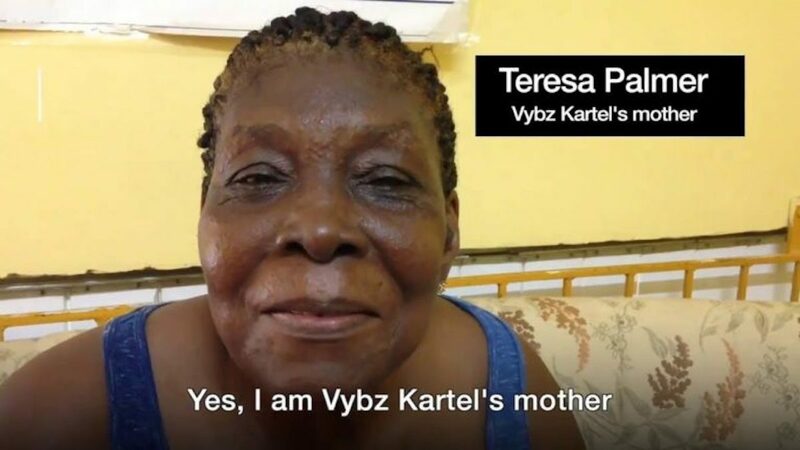 Vybz Kartel mother, Teresa Palmer, gave a rare interview recently. Kartel, whose government name is Adidja Palmer, is currently serving a life sentence for murder but his music and persona is still very influential in the Jamaican entertainment space. “What’s a party without Vybz Kartel music,” the incarcerated deejay said in a post on Instagram recently. In that case, he wasn’t just being braggadocios, he was speaking facts. Outside of his music, Kartel, as well as, other dancehall artists are blamed for a lot of the crime and lewdness in Jamaica, an issue he rebuffed in a speech at the University of the West Indies in 2011. During his speech, the deejay says dancehall music, just like it’s more laid back sibling reggae, is a reflection of real life in Jamaica. In the video below, you will see a rare footage of Kartel’s mother, Teresa Palmer, defending her son. Beenie Man appeared at the beginning of the nearly 4-minute clip speaking on dancehall influence on youths. “Because of dancehall music influence it cause a lot of youths who don’t have a high school diploma or a college degree, him have a house and him have a car,” the legendary deejay said. Still, former police commissioner, Carl Williams, insisted that he has seen enough evidence to believe that dancehall music and gun crimes in Jamaica are directly correlated. “As someone who spent a lot of time investigating gangs and gun runnings and so on, I am confident that there is a link between violent dancehall music and violence in the society,” Williams insisted.